People often ask me how to go about writing a how-to craft book and getting it published. I do have some information about this on my website in the Fun (Mostly) Facts section. I'm working on a new proposal so I figured I'd give you a window in the process. We'll see if this book sells and if it does I'll share the journey. If it doesn't, we'll talk about why. I won't share my actual designs or ideas though. Lesson one: keep your cards close to your chest. A book proposal starts with a series of big ideas. I like to have about three or four general concepts/topics to present to my publisher and we narrow it down to something they think has legs. If you don't already have a publisher, you need to fully develop an idea into a presentation or a pitch and do a 'blind query.' That's how I sold my first book. Start by doing some research. See what kinds of books are on the market and what books are selling well. Go to the big box craft chains and book stores to see what's on the shelves and what has prominent placement. That should tell you what's selling. Try to glean a sense of overall trend based on the publications in your forum and what's hot in the related blogs and places like Etsy. Now think about what you can add to the conversation. What kind of a book isn't there on the topics that are selling well? What audience isn't being reached that might be receptive to the message? That's your proposal. Pick a publisher that reflects your style and go to their website to see what they want for a query, do exactly what they ask of you. Nothing annoys editors more than people who can't follow basic directions. My most sage advice is: Don't annoy the editor. As a former editor I can attest to the fact that I stopped working with people who annoyed me no matter how talented they were. Be savvy, not flaky. You're not a biscuit. Making a how-to book is all about picking a target reader and giving them information they can really use in a format that is clear, concise and hopefully entertaining. If it's too pedantic, it won't stand out on the shelves. No one likes to read stereo instructions...or boring how-to books. You need to find an angle that is unique, but not so far from center that the publishers are going to be afraid to take a risk on it. 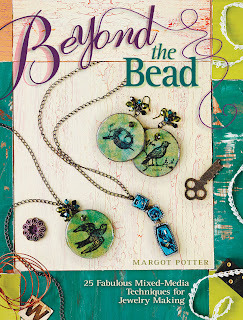 I have personally noticed that the best selling craft books seem to be focused on one thing, like wire or knots or PMC or collage or journaling or metalsmithing. So make sure whatever you do, your title has a focus and a voice. I tend to the pu pu platter approach because I'm restless and impatient and I hate doing the same thing for too long, but I'm cracking the whip and doing a focused concept this round. You do not need to write the entire book before you propose it, the publisher will want to work with you to develop a concept they know will sell. I start with the title, the introduction and a chapter breakdown. This helps me to organize and fine tune the book concept in my mind before diving in. I like to come up with a clever title that also clearly states what the book is about. The Impatient Beader...it evokes an immediate visceral response right? Don't get too attached to your title though, because the publisher may change it. I decide what 's going in the front matter, the focus of each chapter, the number of projects based on their complexity and the standard how-to book length and the number of variations. I create samples that show a cross section of what the book is going to be about. I also visualize the book and the layout and try to give them a sense of what I'm seeing up front. That being said, they get to design the book. If you're just starting out, you'll also need to create a chapter header and a sample set of instructions, they need to get a sense of your personality and the vibe of your book. Most publishers have detailed information about what they want in a proposal on their website. My publisher has a form they like folks to fill out. 1. What makes your book unique? Why should we buy it? 2. Who is your target audience and why do you think they'd want this book? 3. What sort of audience have you cultivated? Do you have an online presence? What are your blog stats, Facebook fans/followers, website stats? 4.What makes you an expert in this particular medium or field? Have you been published and if so, where and how often? Why should we work with you? Let me just state for the record as someone who has published 5 craft books and is ready to publish her 6th that you aren't going to make a fortune on craft books unless you can self publish and you have a very large niche audience willing to buy your book. You will hopefully negotiate a decent contract and make a nice little royalty egg twice a year along with your advances, but it's about how you parlay that prestige into other paying opportunities that will help pay the bills. Don't go into this thinking that selling one how-to book will be enough to quit your day job, because it won't. Believe me. I'm going to propose my next book soon and if it (hopefully) sells, we'll take the next steps together. If not, I'll pitch another idea until I get one that sticks! I have contacted my editor and we've selected a topic she thinks will appeal to the publisher. I have six out of ten samples created, an introduction and chapter breakdowns. Today I'm working on more samples and fine tuning my concept...wish me luck! Thank you! This blog post will be advertised on CraftCrave in the Handcraft category today (look for timestamp: [26 Feb 01:00pm GMT]). I usually self publish into ebooks but have toyed with the idea of a print publisher, it is going to be fascinating to follow along your journey. Great idea and insight. Thanks! Good Luck on your next book!! 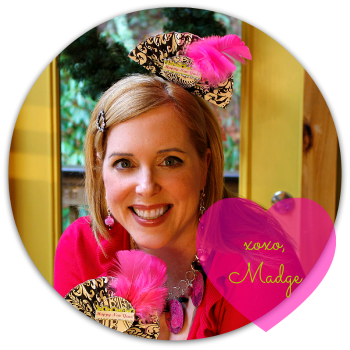 Keeping all digits crossed for you, Miss Madge! Your books always captivate me with your sense of wit and style. I love variations shown and I love to see new techniques. There are many of us who have a book lurking in their brain, and I for one, am grateful that you chose to share this wealth of knowledge with us. It's so wonderful that you are willing to share the publishing process! It can seem quite mysterious and there's nothing like advice from someone who's "been there." Thanks everyone. I get so many questions about this topic, it's easier to answer them here and to share that with other people who may be wondering how it's done. Congratulations on the upcoming 6th book Margot! This was a really fun and interesting read from someone who has been there. Thanks for sharing with us, I'll be linking. Thank you, Rachel. I truly appreciate it. Wow, thanks so much for sharing all of this great information... While I have worked on a few books, I have never approached a publisher with my own idea despite having a few rolling around in my head. Reading about your journey might just be the inspiration I need to do it. I can hardly wait to read the next installment. Thank you for sharing this great information, Madge. Best of luck with your proposal! This is really generous of you to share with all of us. I really appreciate it and will follow along. Best luck with your new book...I know it's going to be another best seller! Thanks for this post, Margot! I'm beginning the process of putting together a proposal. It's an intimidating, but fascinating, process! My very good friend Rebeca of Blue Buddha Boutique recommended a book to me: Write the Perfect Book Proposal: 10 that Sold, and Why. I love this book. It's helped me so much. Hi Margot. I look forward to following your information regarding publishing a craft book. I have self published my first book through Lulu, but for the next one I would like to go a different route. My question here is, how long from submission until the book is printed, going through a mainstream publisher? Is this way better than self publishing? Well, things have changed since I wrote this post, but generally it takes a year from finishing the manuscript to book debut. Sometimes if it's timely, they'll fast track a book with a 6 month turn around. Most books are printed in China and for whatever reason, this is how long it takes. I self published recently, but it wasn't a DIY title, it's a PR and Marking book. I think it depends on your reach and how much you think you can sell. With a publisher, you get their connections in the bigger chains. It's much easier to self publish now, so I think you just need to weigh things out and do what works for you!